Founded in 2010, the association includes four wineries and one distillery, which produce artisan-scale wines and spirits on Whidbey Island. Karen Krug of Spoiled Dog Winery, one of the association members, explains some of the benefits of this kind of collaborative effort between businesses. “Besides hosting our three tasting-tour events, we created our Wine and Spirits Trail Map, and we are beginning to do group orders of various wine-related supplies,” Krug says. 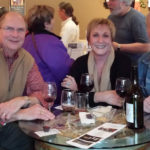 The Red Wine, Spirits, and Chocolate Tour is one of three events the association offers each year, and it has been growing in popularity over the last several years. In 2016, almost 500 people from Whidbey Island, Seattle, and surrounding areas tasted their way from Clinton to Greenbank along the association’s wine and spirits trail. Each destination has its own style and unique offerings, but these makers also have several things in common. They’re a group of small family-owned businesses run by people who are committed to quality and are serious about their craft. Many of the wines and spirits you will be invited to try have received prominent awards and have been nationally recognized. 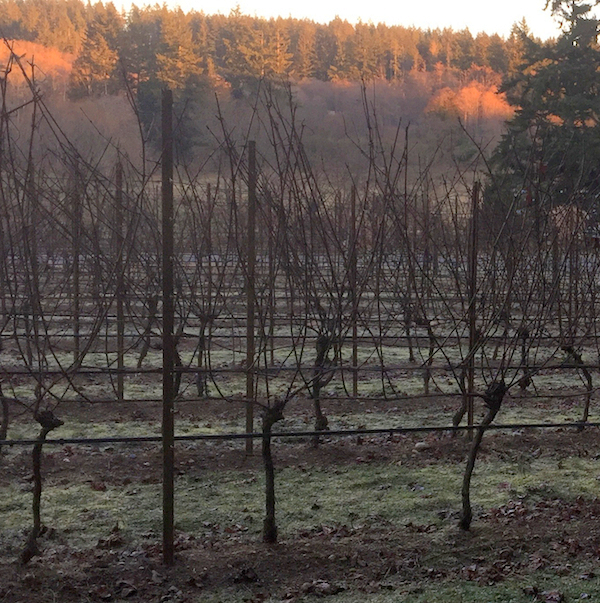 At the Comforts of Whidbey tasting room, sweeping views of Puget Sound and a bucolic farm setting will be paired with your Washington reds and chocolate. Not far from the Clinton ferry dock, the Comfort family welcomes you to their 22-acre farm. Each fall, the community comes together to harvest the white wine grapes from Comfort’s four acres of vineyards. Their five estate white wines are produced from these grapes. Spoiled Dog Winery’s vineyards and tasting room overlook the beautiful Maxwelton Valley. Karen, Jack, Lindsay, and Jake Krug, along with friends, will be pouring three reds. A highlight is their Estate Pinot Noir. In addition to enjoying complimentary barrel tastings, you can purchase, bottle, and label your own pinot for no extra fee during the event. Merlot and carmenere will also be available to try. Cj & Y Decadent Desserts (formerly JW Deserts) is preparing their Island-famous flourless chocolate cake. Specially prepared for this event, the cake will be infused with Spoiled Dog Estate Pinot Noir-soaked cherries. Chocolate cups filled with caramel and topped with sea salt and pecans, also by Cj & Y, will be offered as well. 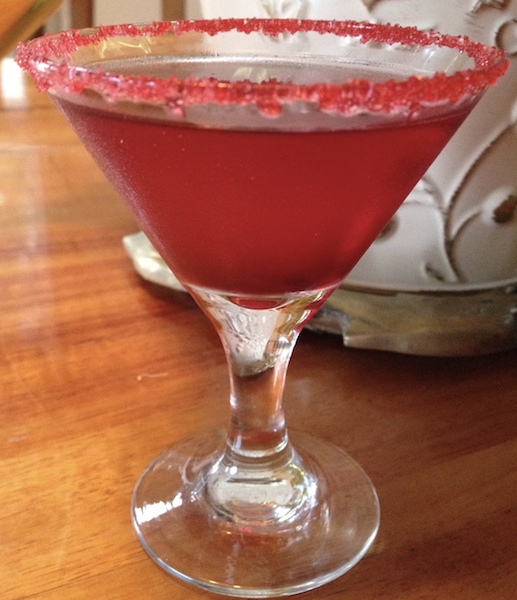 At Whidbey Island Distillery, three generations of the Heising family have been producing spirits since 2011, beginning with their loganberry liqueur. They will be pouring their complete line, which includes Bunker Rye Whiskey as well as loganberry, blackberry, raspberry, and boysenberry liqueurs, a number of which have won awards. To accompany their spirits, the distillery will serve Manhattan truffles—milk chocolate infused with the distillery’s own Bunker Rye Whiskey and boysenberry liqueur, made by Langley’s own Sweet Mona’s. Blooms Winery owners and winemakers Ken and Virginia Bloom welcome you to their tasting room in the Bayview Cash Store. Most of their grapes are sourced from a vineyard planted for the winery in the Rattlesnake Hills American Viticultural Area (AVA) of the Yakima Valley. You will have the opportunity to taste their 2012 syrah and their 2012 Blooms Melange, a classic Bordeaux blend of 50 percent merlot, 25 percent malbec, and 25 percent petit verdot. Both wines were rated “Excellent” by Wine Press Northwest Magazine (Fall 2016). They will also serve their 2013 Poetic, a blend of syrah, malbec and petit verdot. Blooms’ pairing will be chocolate-covered cherries and other chocolate treats from the Chukar Cherry Company, which has been making chocolates for almost 30 years and is based in the heart of Washington Wine county. Holmes Harbor Cellars winemakers Greg and Theresa Martinez have been making Washington wine in Greenbank since 2008. They will feature two of their most popular blends: A Seattle Wine Awards Gold Medal winner, their 2010 Red Etude, a cabernet, merlot, syrah blend and their 2011 3 Wire Red, a cabernet-dominated blend of all six classic Bordeaux varietals. These wines are complimented with custom-crafted truffles infused with Holmes Harbor Cellars wine. 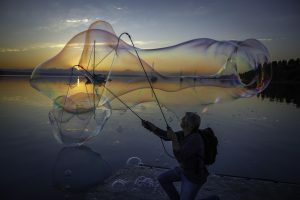 Whether you live on or off Whidbey Island, this array of offerings is surely enough to coax you out onto the Wine and Spirits Trail and away from your housework, the news, or the computer. It’s a chance to enjoy the Island landscape, wind along the back roads, bump into friends old and new, and experience what our hardworking, creative neighbors have to offer. 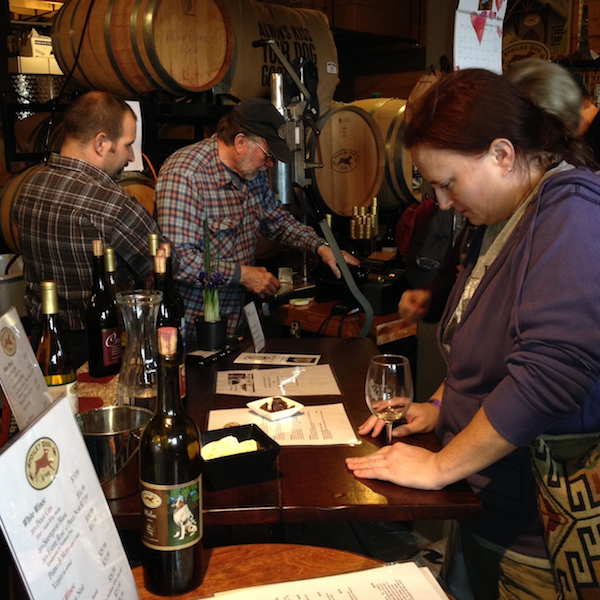 The Red Wine, Spirits, and Chocolate Tour is one of three events hosted by the Whidbey Island Vintners and Distillers Association. Save the dates for Savor Spring, where local wines and spirits are paired with yummy food bites from local chefs (May 20-21) and Autumn on Whidbey, where works from local artists displayed at each tasting room compliment the tasting rooms’ pours ( November 12-13). The cost for Red Wine, Spirits, and Chocolate Tour tickets are $25 in advance and $30 the days of the tour: February 11-12 and 18-19, 2017. Purchase tickets here. Learn more and print out a Wine and Spirits Trail Map here. Christy Korrow lives in Langley. She works as the editor of LILIPOH magazine and as the rights and permissions manager for The Crossroad Publishing Company.